Fight weak and damaged hair with Kérastase's Resistance range to ensure strength is restored and protein is replenished. 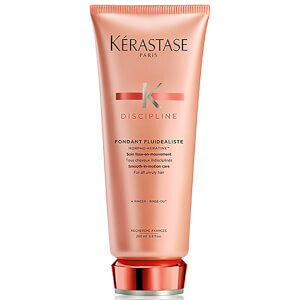 Experience frizz-free and strengthened hair with the Discipline hair care range that leaves hair calm and relaxed. Fusing Oceanic Molecules and Pearls inspired by Caviar, discover bouncier and softer hair with the Chronologiste collection. 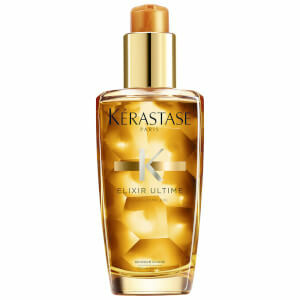 The Elixir Ultime collection combines beautifying oils to enrich and nourish hair to give a radiant shine. Suitable for both men and women, the Densifique range is formulated with advanced stem cell science to help maintain hair density. Treat sensitive, oily and itchy scalps with the Specifique range by Kérastase for well-balanced and healthy looking hair. 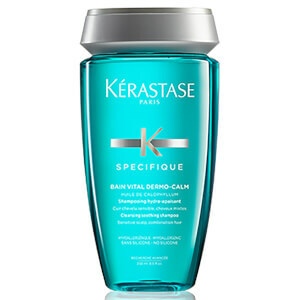 Cleanse, clean and revitalise with the extensive range of Kérastase shampoo's for all of your hair needs. Style hair effortlessly with luxurious hair sprays and volume inducing mousses avaliable within the hair styling range by Kérastase. 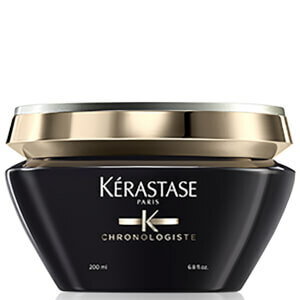 Transform the appearance of your hair and unlock its full potential with Kérastase's signature hair conditioners. Treat your hair care regime with a wide range of moisturising and restoring hair masks for all hair types. Bundle up or treat that special somebody and shop the collection of indulgent gift sets by global expert Kérastase. Created with ingredients that are 98% derived from natural origins, Kérastase introduce its new hair care range, Aura Botanica. Fusing super-ingredients sourced from coconut and argan oils, discover the benefits of using products that are extracted from fair trade communities. For almost 50 years, Kérastase have remained true to their one ambition: to make women's hair their most precious and unique beauty asset. An undeniable leader in the luxury hair care industry, Kérastase's luxurious textures, indulgent fragrances and in-salon rituals undoubtedly position the brand at the forefront of the haircare industry. Caring for your hair from the scalp to the very core of the hair fibre, the Kérastase range provides the ultimate in scalp and hair expertise. Discover your signature style today and shop the Kérastase ranges for every hair type at The Hut.